Tasting notes: Well defined and intense wine, deep red color. 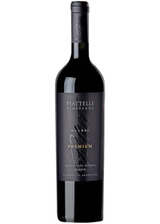 Its notes of small red fruit and plum blend with the aroma of vanilla imparted by its aging in French oak. The mouth has strong personality, distinguished body, harmonious and sensual; displaying all its varietal personality. We recommend drinking it with: Grilled red meat, pasta with tomato sauces, pork, game birds, locro, spit roasted goat and semi-cured cheese.